Oh my kingdom for an English Breakfast! One thing you do miss as a Brit, is a proper hearty English Breakfast. We can just about rustle up a cooked breakfast at home now using fatty bacon or pancetta from Nature's Basket. But without our country's famed pork sausages and black pudding, it's just not the real deal. When I heard about The Breakfast Club - a weekend pop-up restaurant on Carter Road, I was very excited. Already in it's fifth week, The Breakfast Club is the initiative of two young Brit girls Clementine Vandeleur and Imogen Walker (good on ya!) - and is proving very popular. Spurred on by a mini photography exhibition by Bombay Underground/Reality Gives at the restaurant, we made it to the eatery for brunch this morning - and we were not to be disappointed. The pop-up borrows the premises of Corniche restaurant and is set in a picturesque courtyard across from the sea. 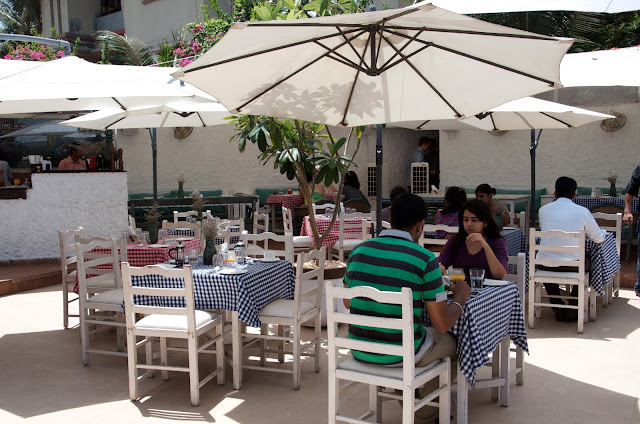 With its whitewashed walls and furniture, checked table cloths and sunny disposition, there is a distinctly Mediterranean feel to the place. Actually, I remarked that it was like being on a Greek holiday when I first arrived - even if the Mumbai summer is probably a little too hot to want to eat outside without A/C! Are we in Greece, or Mumbai?! And although there are no sausages or black pudding to be seen on the menu (aaaaaw ...but we forgive you as you just can't get those ingredients in this city) - the rather unusual choice of set breakfasts more than makes up for it. There are nine to choose from - ranging from 'The Healthy' - muesli with fresh fruit, yoghurt and honey; to 'The London' - boiled eggs and asparagus wrapped in bacon with garlic-butter soldiers; to 'The Self' which is made up of four components that you choose from a selection. There is also the luxurious sounding 'Corniche' - scrambled eggs with basil and smoked salmon on toast. Mmmm...perhaps we are going to have to keep coming back in order to sample all of them! It was hard to choose what to have - everything sounded so delicious but in the end I went for 'The Irish' - because I am a sucker for hollandaise sauce. This comprised of poached eggs and crispy bacon on a bed of sweet potato hash browns - topped off with the most beautiful, tangy hollandaise sauce I have ever tasted. Mr Jules 'Self' helped and went for runny fried eggs with bacon, mushroom and dauphinoise potatoes. Yum. We both had our own cafetiere of properly made coffee, together with a freshly squeezed apple juice (although this had mashy bits of apple in it, rendering the juice a little difficult to drink). 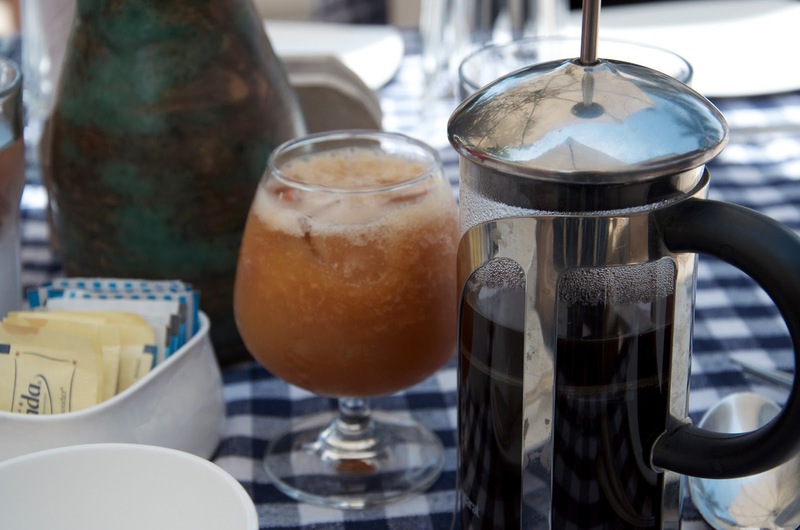 Juices and tea/coffee are included in the set brunch price. 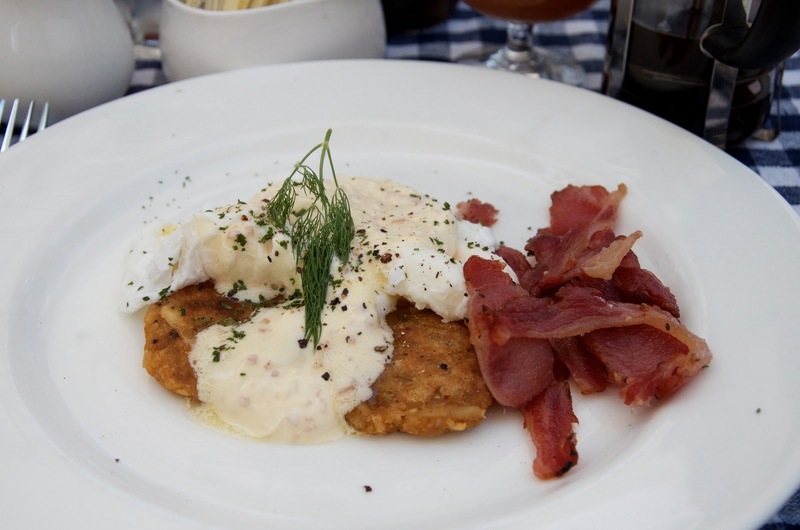 Sumptuous, tangy hollandaise...and check out that bacon. A scrummy combination with sweet potato hash browns. In my haste to order, I had not turned over the page of the menu - otherwise I would have realised there was also a selection of seven salads to choose from! Examples include Beetroot marinated in garlic yoghurt with dill and pomegranate or the utterly delectable sounding figs, bacon and walnuts with honey, lemon and olive dressing. I might have been tempted to have the latter instead of (or as well as) my 'Irish'. For something simpler to go with your coffee or as a side, there is a baked bread basket consisting of Danish pastries, muffins, brioche and rolls on offer - or alternatively - cinnamon pancakes/vanilla waffles with seasonal fruit, ice cream and chocolate sauce. If you're going in for a proper long Sunday brunch with friends, you will be pleased to hear that there are some alcoholic options such as the Sula Brut Bellini, Sangria and beer. 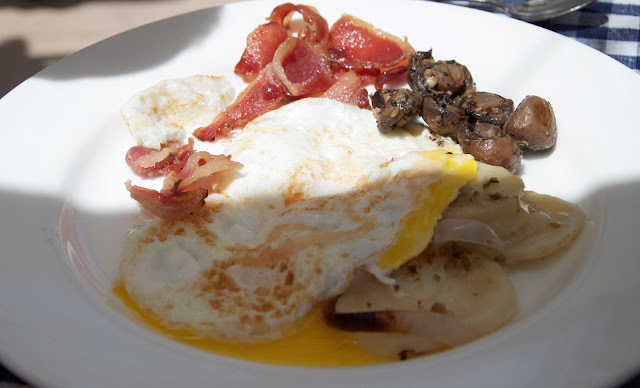 Mr Jules's selection from 'The Self' - perfectly runny fried eggs with mushrooms, bacon and dauphinoise potatoes. We can forgive the lack of a good British sausage! I was very impressed by the endeavours of these two budding restauranteurs. They've definitely tapped into a gap in the market. We were some of the first to arrive this morning and most of the tables had already been reserved or filled. If we'd arrived any later, I think we would have been disappointed - reservations are therefore probably recommended. And even if there wasn't a genuine British 'Fry Up' to be had, everything was well cooked and beautifully presented. Mr Jules even remarked that it was the best western breakfast that he had so far sampled in India. Quite a compliment, coming from him! Price wise, the set brunches range from 450 Rs for 'The Healthy' - to 600 Rs for the meatier 'London' to 1,000 Rs for the smoked salmon 'Corniche'. 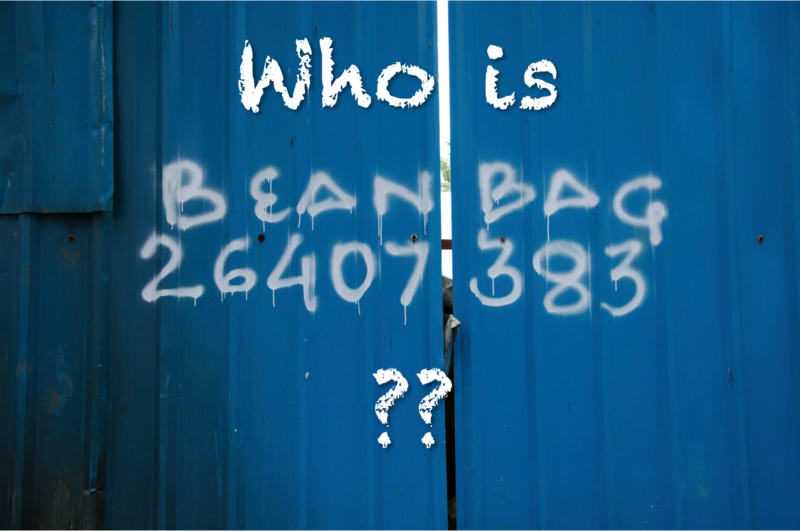 Salads are in the range of 250-275 Rs and a cup of coffee is 135 Rs. (Prices exclusive of taxes). Originally, the concept was supposed to run for eight or nine weeks only, but I hear that The Breakfast Club has been such a runaway success, that it's going to become a permanent fixture at the Corniche. For people like us who are not particularly interested in having big fat boozy hotel brunches every Sunday - but instead want to experience home cooking with a twist - this is great news. Thank you for bringing us The Breakfast Club Clemmie and Imogen! Mulchy apple juice and a cafetiere of decent coffee. And what a delightful read it has been, You are a very Kind person which is a rarity. And to think you live ten steps away from me ha !